In addition, it is capable to network with various devices through Serial (RS-232), USB, USB 1.1 connections. This Printer has been refurbished and fully tested. Printer Type. Label Printer. Direct Thermal. Zebra LP 2844-Z. 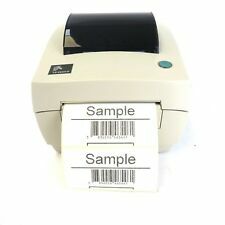 Label Thermal Printer. - Thermal head cleaner. NO ORIGINAL BOX . 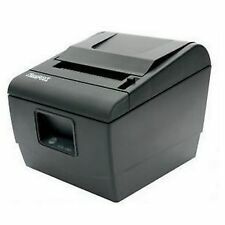 Zebra Technologies Corporation - GK420d Thermal Label Desktop Printer. Zebra LP 2844-Z. Label Thermal Printer. - Thermal head cleaner (pen). but item will be secured. Olivetti PR2 PLUS has been designed in different models from the entry-level version to the dual-side scanner model (MB-2 model) in order to satisfy multi-functional front-office applications. Dual side colour scanning (MB-2 model). Epson LX-300 Dot Matrix Printer fonts business . Condition is Used. Dispatched with eBay delivery – Shutl 1 day. HP LaserJet 4050 N Workgroup Laser Printer. Condition is Used. Collection in person only. HP LaserJet 4000N. 1 x HP LaserJet 4000N. Laser Parallel Ethernet A4 Mono Laser Printer. Connectivity: Parallel, Serial, Infrared and 10/100 Base-TX Ethernet. Print Speed: 17 ppm. Warranty ; 6 Months RTB Warranty. HP LaserJet 4050N. 1 x HP LaserJet 4050N. LaserJet A4 Mono Laser Printer. Connectivity: Parallel, Serial, Infrared and 10/100 Base-TX Ethernet. Print Speed: 17 ppm. Warranty ; 6 Months RTB Warranty. 1 x 100 Sheet Input Tray. Part Number : C4252A. The Printer Broker Ltd is a supplier of printers, fusers and printer parts based in Bolton, Greater Manchester, UK. We will always go out of our way to source the product you are looking for. Warranty Information. Request Only. (palletways pre-6pm). (City Link pre-6pm). HP LaserJet 4000TN. 1 x HP LaserJet 4000TN. LaserJet A4 Mono Laser Printer. Print Speed: 17 ppm. Warranty ; 6 Months RTB Warranty. 1 x Power Cable. Model: CX400 EX3. Manufacturer: SATO. Includes: Printer with power adapter, driver disc and print ribbon. Supplied in open box. International Orders. This is a new item. Serial & USB. The HC100™ makes it exceptionally easy to print individual wristbands on demand. The HC100 is engineered to be easily wiped down with hospital disinfectants. What Zebra has to say: -. 1 x Part Used Receipt Roll. See photo's. 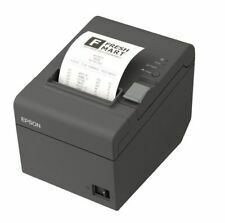 Zebra Desktop TLP2844 Thermal Transfer & Direct Thermal Printer - USB Parallel Serial 2844-10300-0001. Perfect test print. It is a Thermal Transfer and Direct Thermal unit so can be used with or without a ribbon (not supplied). Panasonic KX-P1081 Dot Matrix Printer (Second Hand). The KXP1081 is a slightly later faster version of the KXP1080 (KX-P1080). International bank account no. : IBAN GB26BARC 202062 7067721. SWIFT BIC: BARCGB22 n.b. 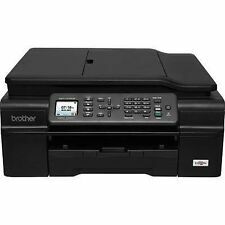 Brother TD-4000 Professional Wide Label Printer - 300dpi / 102mm / Serial / USB. High-speed automatic tape cutter. Labels often have to incorporate a considerable amount of important information, so you need a printer with the capacity to put it all together efficiently and with consistently high-quality results. Dot Matrix Passbook Printer. Olivetti PR2 Plus. 1 x Olivetti PR2 Plus. USB Parallel Serial Connections. 1 x Ink Ribbon. Warranty ; 6 Months RTB Warranty. 1 x Power Cable. 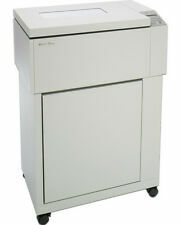 Lexmark MS811DN. 1 xLexmark MS811DN. Fast Network &Duplex Ready Workgroup Printer. Duplex Unit. 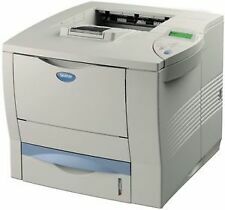 63ppmLaser A4 Mono Laser Printer. Perfect Office Workgroup Printer. Connectivity: USB and 10/100 Base-TX Ethernet. Parallel port without power supply. In box with all manuals and CD. Purchased last year and not used, printer ribbon was installed and then put back in box as printer had wrong connection type. IT Computer Spares. In the unlikely event there is a problem with your item we are always happy to investigate and resolve issues. Bankers Draft. Credit or Debit Cards.